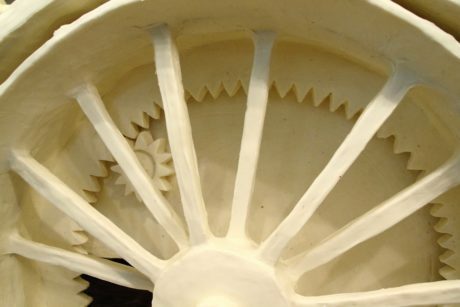 Sculptor creates a Waterloo Boy Butter Tractor at the Iowa State Fair. 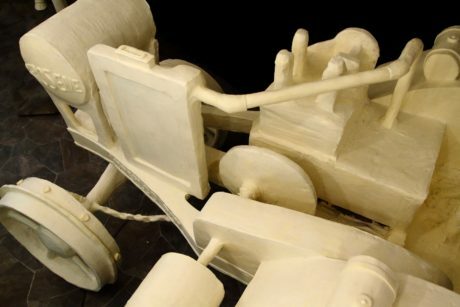 Learn how butter sculptor, Sara Pratt, built a replica of the historic John Deere Waterloo Boy Tractor. 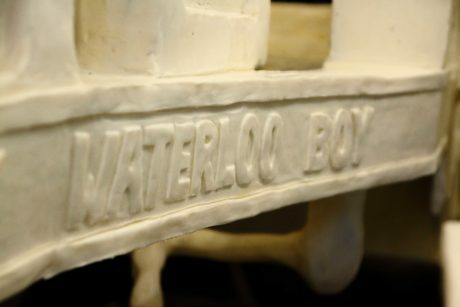 You may have heard of the famous Iowa State Fair butter cow, but what about the Waterloo Boy butter tractor? At this year’s fair sculptor Sarah Pratt of West Des Moines, Iowa, created a replica of a 1919 Waterloo Boy model “N” made completely of butter. The butter tractor was created to celebrate the 100th anniversary of John Deere entering the tractor business when it purchased the Waterloo Gasoline Engine Company in 1918. The tractor was displayed next to the fair’s legendary butter cow, which was also sculpted by Pratt. The butter cow is an Iowa State Fair tradition dating back to 1911, when J.K. Daniels sculpted the fair’s first butter cow. It has been featured every summer at the fair since that time. The butter sculptures are constructed on a wood and steel mesh frame and are housed in a 40-degree cooler. The butter cow features 600 pounds of Iowa butter and measures over five feet in height and eight feet in length. When the fair ends, much of the butter is recycled and can be reused for up to 10 years, according to the Iowa State Fair website. In 2006, Pratt took over the sculpting duties from Norma “Duffy” Lyon of Toledo, Iowa, who had mentored Pratt for 14 years before retiring. 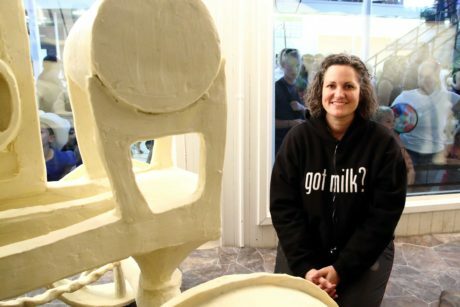 Pratt is just the fifth person in the fair’s history to sculpt the butter cow. The Iowa State Fair itself dates back to 1854 and is based in Des Moines. Over one million people from around the world visit the fair each year over the course of 11 days in August. It is one of the oldest and largest agricultural and industrial expositions in the U.S. The butter sculptures were on display at the John Deere Agriculture Building during the fair, which was held in August. To learn more about Pratt and the sculpting process watch the video above. If you enjoyed reading this story, you may enjoy reading one of the stories below about the history of the Waterloo Boy tractor.